First, there are a couple of different options for buying a high-end home: you can work with a real estate agent or go directly to the luxury home builders. Choosing to work with a realtor can be a good idea because, often, potential homes will be circulated to other local realtors before they hit the market — and this is even more exacerbated when it’s high-end homes. Many owners don’t want to open up their homes for gawkers and general passerby, so connecting to a real estate agent can help you get information about upcoming houses more quickly. 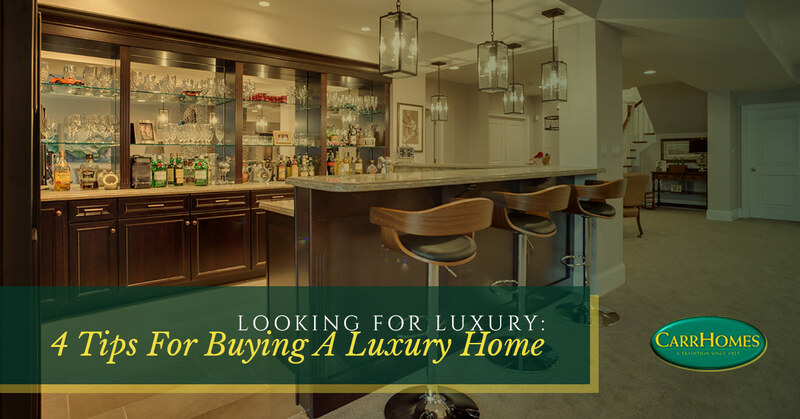 Realtors also work closely with luxury home builders, so they can help you find the right options based on what you’re looking for. For better success, take the time to find a realtor who works largely or exclusively in the luxury end of the home buying market. This particular tip goes for home buying across the board, but it’s particularly important when you’re at the level of high-end homes. Have a list of what is necessary for you to find in a home, and, corollary to that, have a sub-list of qualities that would be nice but aren’t sticking points. That list can then help you determine whether you’ll be better off looking at existing homes or working with luxury home builders to build something new. For example, if you know you require a specific kitchen layout or overall floor plan, those are a great deal harder to change than paint colors or flooring, so you’ll likely be better off choosing a luxury home builder to help you with the new construction process. In our modern internet-connected age, it’s easier than ever to buy a home without actually seeing it in person. In terms of luxury homes, however, those pictures can be deceiving. It’s not necessarily an intentional deceit, but real estate photography has a way of making rooms look larger or differently proportioned than they really are. Because of that, it’s important to have an open mind when scrolling through all of those online listings. Don’t rule out a home, existing or new construction, strictly because of the images you find online. They may not be a true representation of the home. The other big factor for high-end homes is the location. Since buying a luxury home can come with some very specific qualifiers and criteria, finding just the right home may mean choosing a different neighborhood. Or, vice versa, if the neighborhood is more important to you, it may mean compromising somewhat on the home itself or choosing to build new. Similarly related is the question of how much work you want to do on the home. If you’re looking for a move-in ready home that won’t need work, a new build will fit your needs better than a 100-year old home. At CarrHomes, we’ve been building quality homes in Hamilton and the surrounding area for almost a century. Explore our currently available luxury homes or contact us to get started on your build!